The aim of every business is increased productivity. 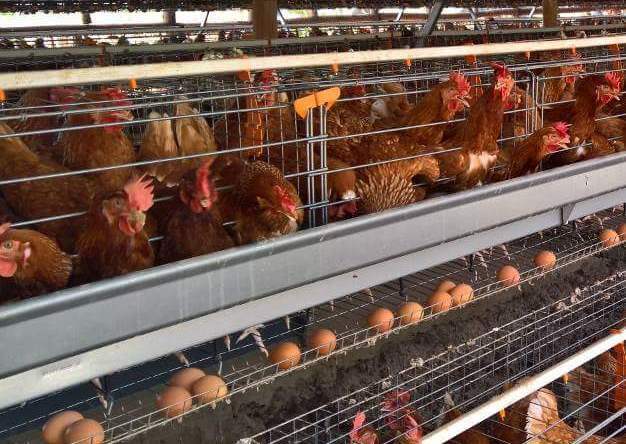 In egg production, a good laying bird is a major factor in the success of the business, provided other resources surrounding the business are well managed and in good condition. The success of a poultry business, especially egg production, depends on many factors; but the prominent factor is the bird itself. The type of birds reared should be the ones with good production potential. Before choosing any bird, it is imperative you study the bird decisively to ensure it suits and meets the production requirements. At times, an unproductive laying bird is very difficult to identify but with further scientific research, some features have been noticed and recommended for farmers. Such features should be traced and present in the birds. The comb and wattle are the superficial parts of the laying birds. 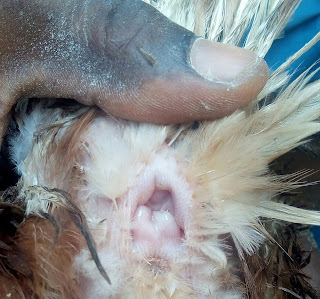 These two parts indicate the health status of poultry birds. Before any disease condition manifests, the clinical signs are first noticed on the comb and wattle. A good laying bird has a bright red comb and wattle; this shows that the bird is in good condition and can produce optimally. A laying bird with pale or dark comb and wattle is not in good condition; such birds have poor production potential. When buying your point of lay birds, opt for birds with bright red comb and wattle. 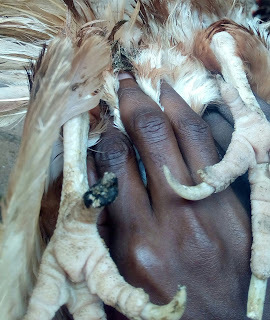 One of the important parts of a laying bird is the eye. The eyes of a good laying bird are always alert and not depressed. 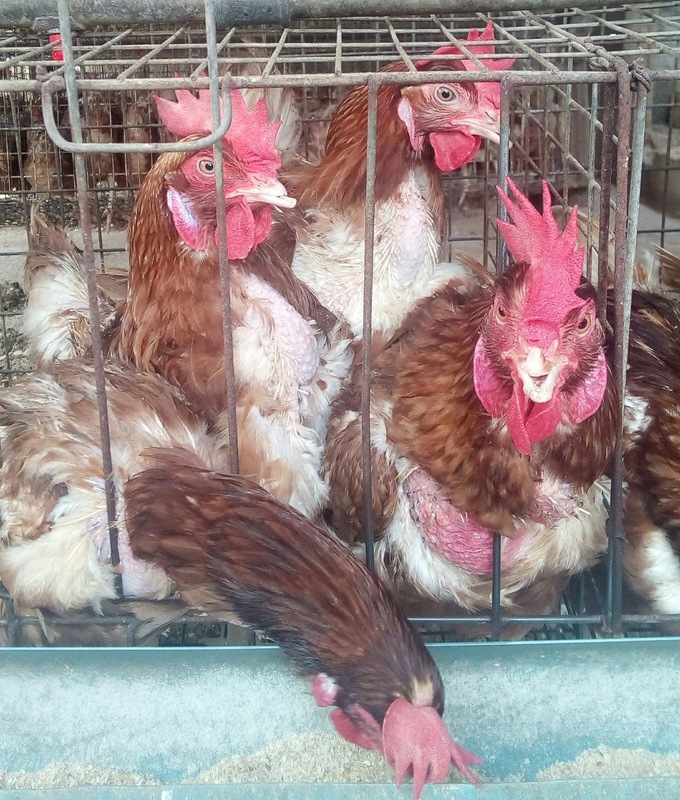 Laying birds with weepy and dull eye are not good for egg production; they are sick birds that require medical attention. Rearing such birds will greatly increase the cost of production as the cost of medication and unutilized feeds accrue. Go for laying birds with bright and alerted eyes. The cloaca is the posterior orifice or outlet that allows the removal of digestive wastes and egg after it is completely formed. This part must always be moist and not dry; if it’s dry, it means the bird is not in good condition. Take the pain to examine this part to ensure it is moist before purchasing the birds. The pelvic bone is the bone around the cloaca, place your fingers around this area to measure it. If it accommodates more than two fingers; the bird is a good laying bird, but if it accommodates just two fingers, the bird is not. Try to check this out before purchasing the birds. This is another feature you should look out for in your laying birds. The beaks and claws should be bleached; they are pale and lightened. This should as well be considered and observed in any earmarked laying birds. These are the features that determine the productivity of your laying bird. If these features are matched, the birds will produce up to their genetic potential. These are naturally modified features of a laying bird to achieve high productivity. Try to observe all these before stocking your point of lay birds. THEN SUBSCRIBE BY ADDING YOUR EMAIL ADDRESS IN THE SUBSCRIPTION PANE BELOW. what is the average rate of a good layering bird? Sorry, your question is not clear. Average rate as how?